CES this year was notable for a few reasons. Great big giant TVs have fallen off the radar of the general interest tech pubs to be replaced by gadgets and bread-baking boxes. It seems TV have reached their largest practical size for home use. Practically speaking, there is a ratio for the optimum distance from screen to couch that I could look up, but I’m not and houses are only so big. Urban dwellings are even smaller. Instead, TVs are getting higher resolutions, UHD, and also improved technology including Quantum Dot and OLED. All this means better displays, not bigger TVs. We didn’t write much about TVs anyway this time around, maybe a bit about the technology in passing. 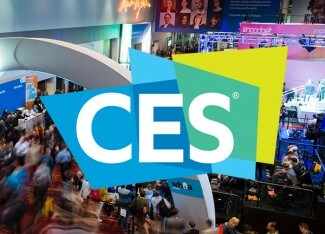 What did come out of CES, was the growing trend for people to watch TV programming on PCs and on tablets. Watching TV is becoming both personal experience and a group experience depending on the content. It seems likely though that people watching TV by themselves is a trend that’s going to continue. To push a stereotype a tad too far, dad doesn’t own the remote control anymore so even in families, members can retreat to their preferred programming. Content creation is already changing dramatically, which is obvious to anyone with access to a screen. There’s more content available through more providers. As a result, content creation professionals are finding themselves in the unusual position of getting a lot of love from hardware manufacturers. Gaming is still huge, of course, but everyone likes watching. Not everyone enjoys playing all that much. Speaking of love, AMD is getting their share lately. Actually, Lisa Su is turning heads. She stepped up and took the CES keynote stage by storm. An utterly ridiculous metaphor for the precise Dr. Su, but the reaction at CES was electric. It didn’t hurt that Intel had to take a pass on the big (and expensive) keynote stage this year. Nvidia also had a great show, which played out on the show floor as well as the keynote stage, but of course, people are used to Jensen making a splash. It’s not so much that the balance of power is changing, though it might, however right now, it’s more than market power between the PC triumvirate is more balanced than it ever has been, with each company doing all they can to explore their individual advantages instead of butting heads against each other. I’m tempted to wish we’d seem the same kind of balance playing out in US and UK politics, but that’s just stupid.